Four-time Golden Guitar nominee Paul Costa is headlining this year’s SUNFEST and will be rockin’ the night away after the festival fireworks on Saturday 15th March. This enigmatic country performer will take audiences through his latest hard-hitting album Wheels & Steel and its subsequent singles Tractors & Bikes, Big End of Town and the most recent Bad Boy, as well as fan favourites from throughout his career including Survivor 1932, House of Mirrors and The Way You Make Me Feel. Paul says he and fellow band mates can’t wait to rock the night away. We are all pumped to be headlining at SunFest and we will be there to entertain! The show comes hot off the heels of a busy Tamworth Country Music Festival that saw Paul play to a packed house. It’s been a hectic time for this incredible musician, his fourth album Wheels & Steel debuted at #2 on the ARIA country charts and both of the first two singles – Tractors & Bikes and Big End of Town – were #1 smash hits. 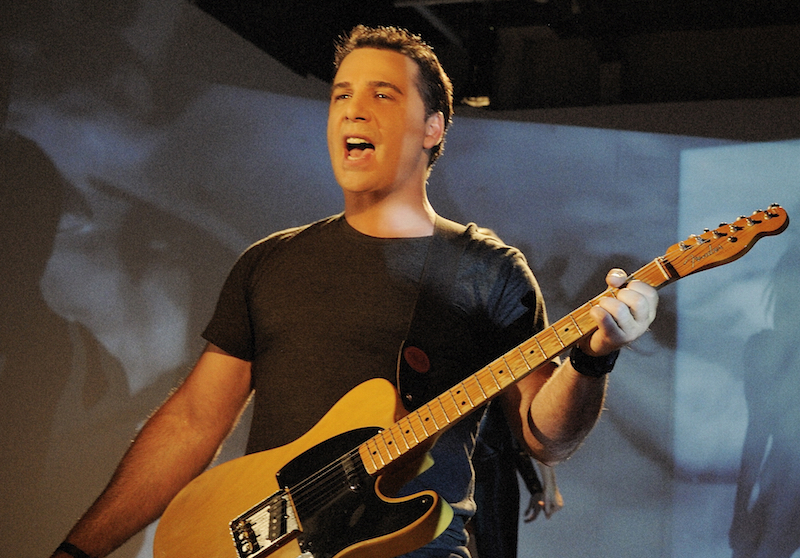 In fact, Big End Of Town was recently voted in the Top 10 of CMC’s 50 All Time Australian Music Videos. Paul can’t wait to perform his latest single Bad Boy with audiences at SunFest. This is a hard rockin’ country song about how it takes a good girl to tame a bad boy…We had heaps of fun with the lyrics on this one. It describes how rough and tough this guy is and how it will take the right girl to eventually win him over and set him on the right track. Paul wrote the single with Drew McAlister and Matt Scullion and recorded the recent film clip with long-time collaborator Duncan Toombs. The single release coincides with the re-release of Paul’s impressive back catalogue digitally through WJO – Walkin’ in These Shoes (2004), Restoration (2007), In This Life (2009) and the 2012 release of Wheels & Steel. The upcoming SunFest show continues what will be a busy year for Paul. He’ll be on the road for the vast majority of the year, touring throughout regional Australia and then heading overseas to Thailand, New Zealand and the US. He’ll also be fitting in time to start penning tracks for album number five, which he hopes to start recording mid-late 2014. The Bad Boy single is at radio now. Wheels & Steel is available digitally through WJO.